Samsung had a huge booth with lots on display, from a refrigerator running apps to ultra thin, big screen SuperOLED HDTVs. 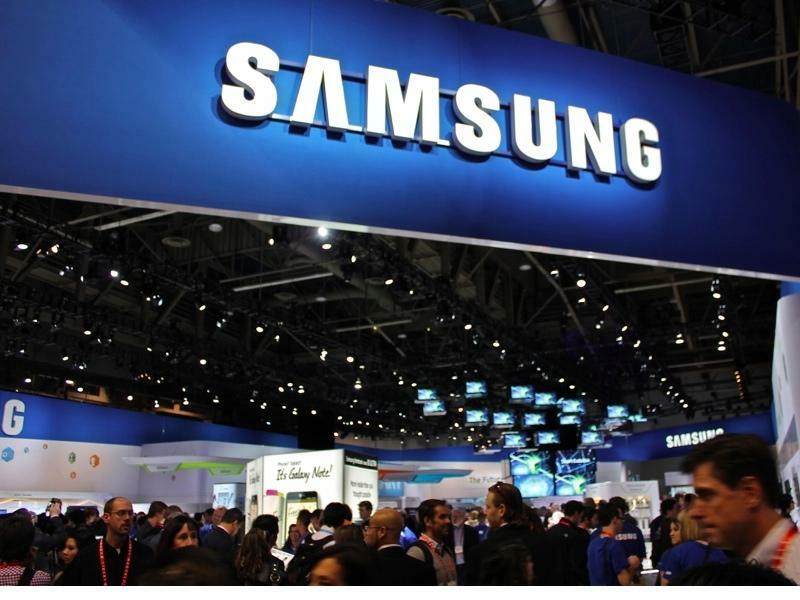 The star of Samsung's exhibit, however, was the Galaxy Note. It even got a huge banner blanketing the sprawling convention's facade, and inside, the most visible signage in Samsung's booth. While Samsung has been chastised for "slavishly copying" Apple in its smartphone and tablet designs, the Galaxy Note is a new response to the iPad from Samsung, a mini-tablet that incorporates the stylus features that Apple's Steve Jobs mocked five years ago as the wrong way to go about working with mobile devices. Nobody can say Samsung is aping Apple with its stylus, and the pen-driven aspects of the Galaxy Note are central to its value proposition. 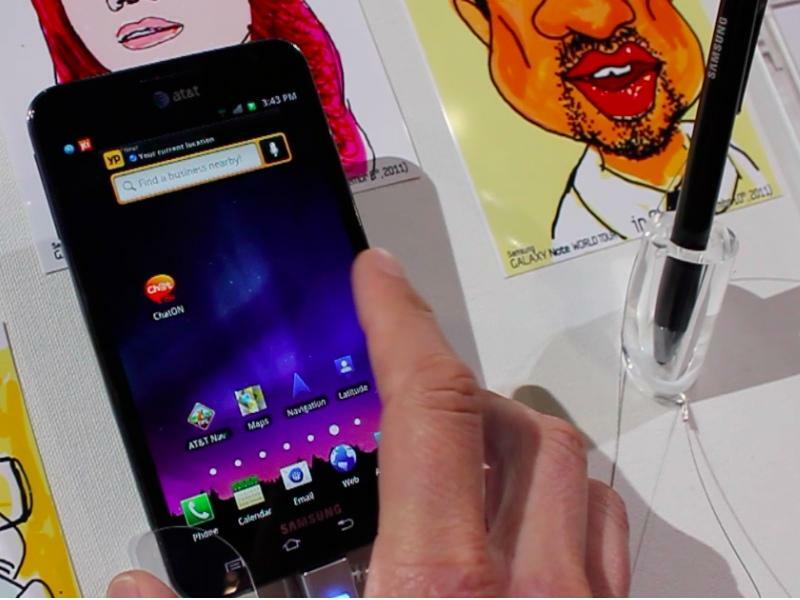 Samsung even developed its own pen API and apps to make the stylus more than just a gimmick thrown in the box, and was promoting the device by hiring caricature artists to draw attendees using the device's stylus. Originally introduced in October, the Galaxy Note is a very large 5.3 inch screen smartphone that incorporates a stylus to perform Tablet PC-like features. Beyond the stylus, it also diverges from Apple's strategy of clearly differentiating its iPhone and iPad as separate products optimized to perform different roles; the Galaxy Note acts as a hybrid placeholder in Samsung's array of Galaxy-branded products that range from conventional smartphones to large screen smartphones to the Note to its small and large Galaxy Tab slates with screen sizes ranging from 7 to 7.7 to 8.9 to 10.1 inches. Will Galaxy Note be the Palm Pilot to Apple's iOS Newton? At first glance, the Galaxy Note looks like a smaller, simpler iPad, evoking memories of how Palm's 1997-era cheap, simple $300 Pilot rapidly took over the PDA market that Apple had originally coined with its $700 Newton MessagePad three years earlier. The difference today, however, is that the Galaxy Note isn't cheap. While the Pilot was less than half the price of a MessagePad, Samsung's 16GB Galaxy Note is $760-$900 on Amazon, considerably more than the 16GB 3G iPad 2 (which Amazon sells for $550-$630). In large part, that's because the Note incorporates all the features of a high end LTE smartphone, including an 8 megapixel camera and a "near Retina" 285ppi Super AMOLED 1280x800 display. These features all add to the Note's price but also enable it to double as a gigantic smartphone for a "no compromises" experience like that promised by Microsoft's "optimized for everything" Windows 8 with Metro. The Galaxy Note also packs on the full horsepower of a dual core 1.4 GHz Cortex A9 Exynos or 1.5 GHz Qualcomm Snapdragon (there are multiple hardware versions of the Note running SoCs with different graphics cores) and a full gigabyte of RAM, features that eat up battery life but are essential to running Android fast enough to feel responsive. In large part, that hardware is necessary because the Note runs Android 2.3 Gingerbread from 2010, which lacks the hardware accelerated graphics of Google's newer 2011 Android 3.0 Honeycomb and its successor from last month, Android 4.0 Ice Cream Sandwich. Even with all its horsepower, the Galaxy Note's user interface still feels a bit sluggish even compared to a 2009 iPhone 3GS, despite being powered by chips with a faster clock speed than brand new iPhone 4S.